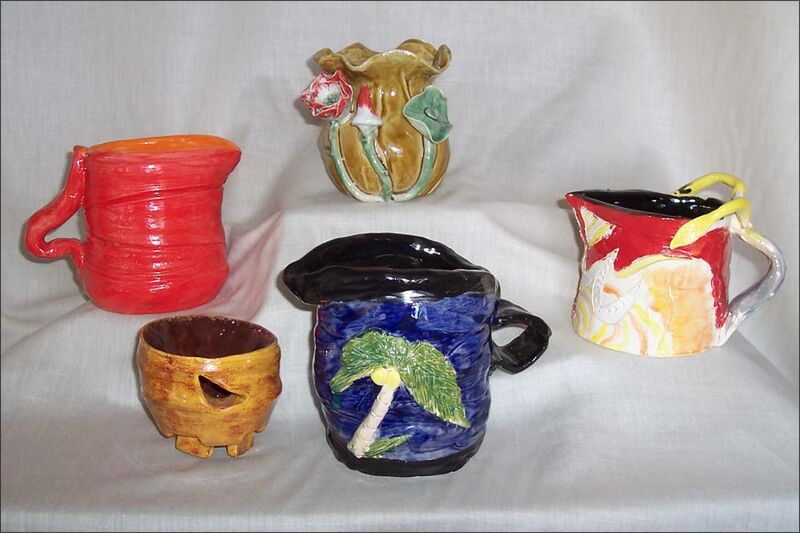 I Label These Ceramic Pitchers, Vessels, Vase, and Bowl Primitive Folk Art. What is to be Cherished in These Works of Art is an Almost Untamed Creative Spirit in Shape, Combination of Colors, and Surface Manipulation.... and an Ingenious Naiveté Which is Charming, and Uncorrupted by Controls and Disciplines. Each Ceramic Primitive Folk Art Piece Shines in Its Own Way.